Carter Alexander Harford, Seventh Viscount Devereaux, is a man driven to succeed. His work is his life, and the position of Prime Minister of England is within reach. But in truth, Carter is a man haunted by lost love. Estranged from his beautiful wife, Carter is shocked to find Miranda—the woman he loved and who he believed left him—in residence at his country home. A very touching and thought provoking novel that makes you think of your own perceived injustices and the actions of others without a full measure of truth about those perceptions. I don't love it overall but I can appreciate the love story. This was a different book from all the others Sara Eden has written. It was written extremely well but Its not my favorite. The ending left so many questions and while it really was a tender love story, one of Miranda's and Carter's trials It hit too closely to home for me. At one point it was simply too emotional for me to read. I cant say that I like it but I appreciate the love story. I LOVE THIS BEAUTIFULLY WRITTEN BOOK OF MIRANDA'S HUMILITY, ABILITY TO FORGIVE, HOPE AND LOVE...... Really inspiring love story. 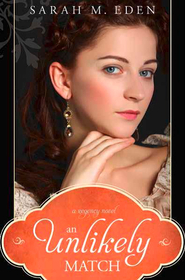 I don't think I've ever been touched by a novel--particularly a romance novel--as I've been touched by this one. Miranda's strength, kindness, forgiveness, and character is inspirational. There is definitely a Christian influence in the goodness of many of the characters with no direct mention of this by them......just living the way that Christ taught we should. The complex misunderstandings were so diverse and unimaginable. I've read it three times in about five days and keep finding nuances each time I read it. I love this story and would recommend it highly. Sarah M Eden is my favorite author....always clean but not simple. Glimmer of Hope is a bittersweet yet tender love story of two people, united once in love and marriage, separated by misunderstandings and the selfish deception of others. Sometimes I start a book during a break intending to read just a few chapters but end up getting so caught up in the book that I must finish it. Sarah’s books are always like that for me. I know once I start reading I won’t want to put it down. I loved the loyalty Miranda inspired in all who knew her at Clifton Manor. I appreciated how Carter, despite still being angry at what he saw as Miranda’s “abandoning” their marriage, noticed that his heart was still affected by her and softened enough to want to try to build at least a friendship with her. While a good conversation could have clarified the situation between Carter and Miranda, pride, stubbornness, and Miranda’s weakened constitution prevented it. This isn’t difficult to believe, considering how often, in reality, the same things get in the way of solving relationship issues in almost everybody’s lives. I didn’t mind that I figured out well ahead of time what had kept them apart because I was more interested in how it would all be revealed and what Carter’s reaction would be when he discovered what had happened. I was not disappointed. Carter’s tenderness toward Miranda and his reaction upon discovering the deceit surrounding him was just what I was expecting. Sarah’s writing is excellent, effectively pulling me into the story and the emotion of the moment. My heart ached for what had been lost and hoped for what was to come. Sarah is one of those few author’s whose books I do not hesitate to purchase even before reading them. I have yet to read one of her books that I haven’t loved. While Glimmer of Hope has a slightly different feel than some of her other books, a bit more serious rather than light and humorous, it was no less enjoyable than the others. 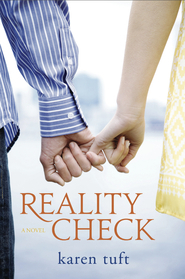 As always, I happily recommend Sarah’s books to anyone who likes a clean, well-written romance. Yes, just a glimmer of hope. I was not prepared to read a drama with a melancholy ending when I chose this book. The whole story was just plain sad. This is a fantastic book! The ending took me by surprise, and kept me guessing. Well written, all of Eden's fans will be pleased! An emotionally charged book! I love that Sarah M. Eden wrote romance about a married couple. After a horrible misunderstanding, Miranda spends three years believing she was abandoned by her husband. When he shows up at the country home she has been living in, and demands that she act the perfect hostess and loving wife for a house party, she doesn't know if she can survive the next two weeks. 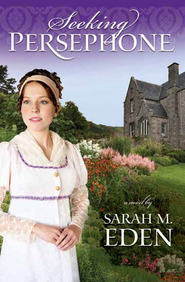 Sarah Eden is definitely one of the best regency romances writers! Her books are WONDERFUL! EXCITING! And ENCHANTING! She writes with such a passion that you can feel the emotions of the characters that help you fall in love with each and every one of them. The man always believes one way and the woman always believes another way and in the end they find out they were both wrong. But that is what makes the book so right...And so good! Maranda believes that when her husband left her to attend to business it was his way of saying he wants nothing to do with her. Carter believes that when Maranda left while he was away on business that it was her way of saying she wants nothing to do with him. Now three years later Carter takes his holiday party to his countryside home and finds that Maranda has been living there all along. Propriety holds them hostage and they must make everyone believe that they are a happily married couple in order to avoid any further scandal. When truths come out the couple realizes there marriage does indeed contain a "glimmer of hope." This is a book you will truly LOVE, and DEVOUR, and thoroughly ENJOY! 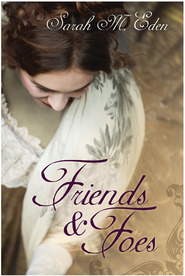 I have LOVED all of Sarah's books and each one get's better. This one had me at the beginning and I was easily transported there.